If you’re anything like me, when you think of Namco, chances are the first thing that comes to mind will be video games, or maybe anime. 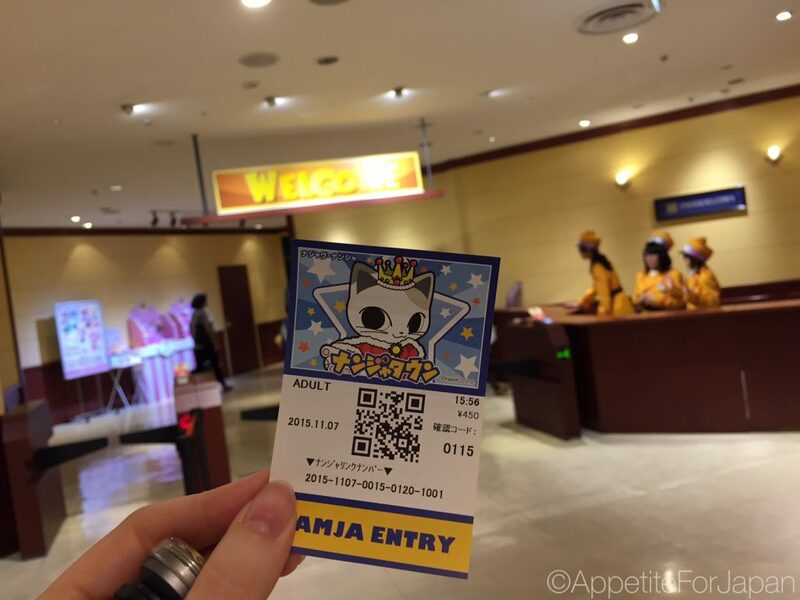 After all, Namco’s other indoor theme park – also located in the Sunshine City shopping centre – is J-World Tokyo, which is their anime theme park. 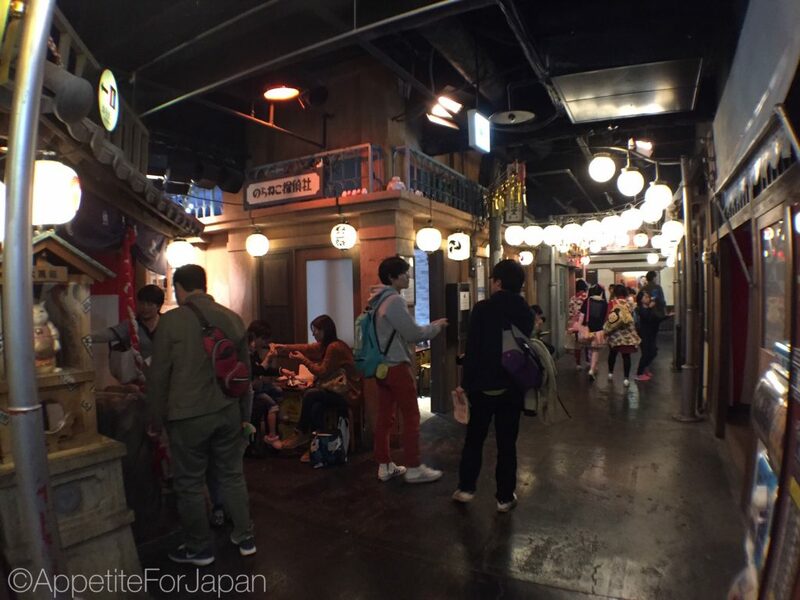 Unlike J-World, Namja Town doesn’t have a specific theme, but I would certainly classify it as one of the stranger amusement parks that I’ve visited in Japan (and I’ve been to a few!). 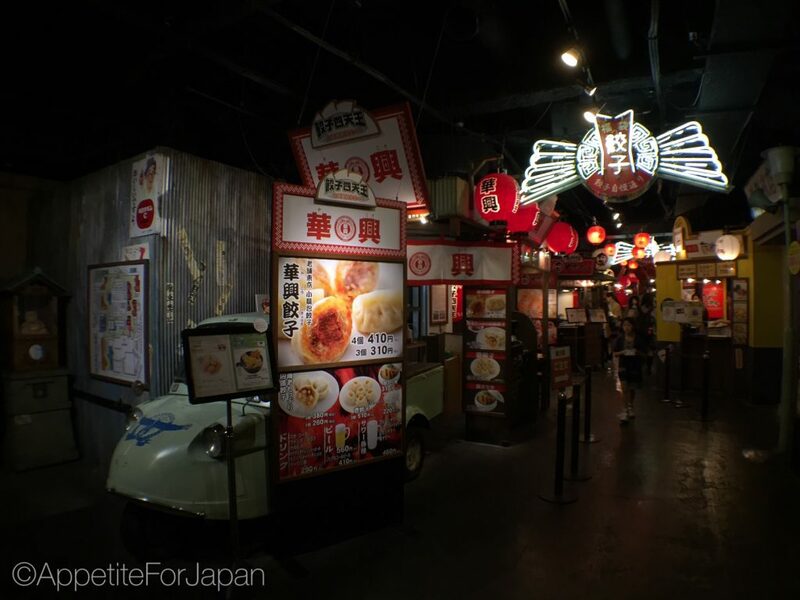 Namja Town is probably most famous for its ‘Gyoza Stadium’, a whole lot of dessert shops including an ice-cream place boasting 50 different flavours of ice-cream (including some fairly unusual flavours), carnival-style games, and a haunted house. 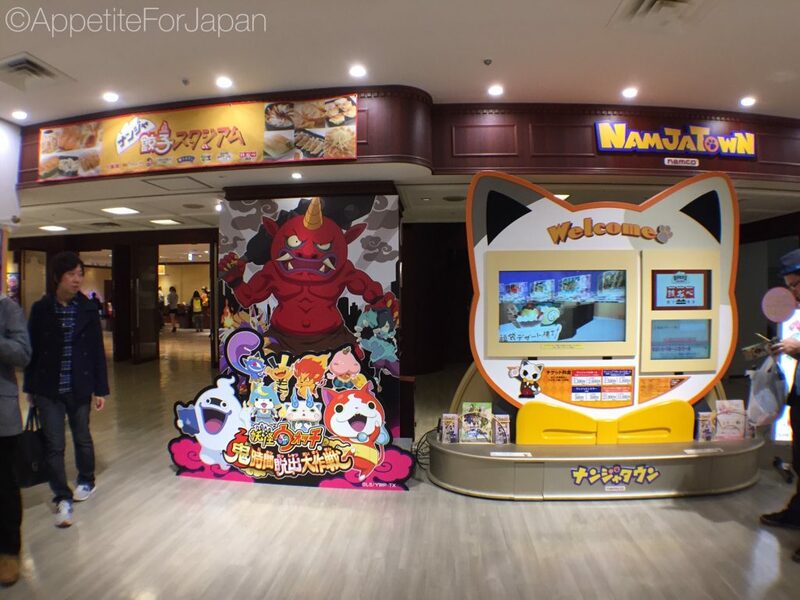 There are several Namja Town mascots, the main one being a cat named Najavu. Above: That’s Najavu on the entry ticket. 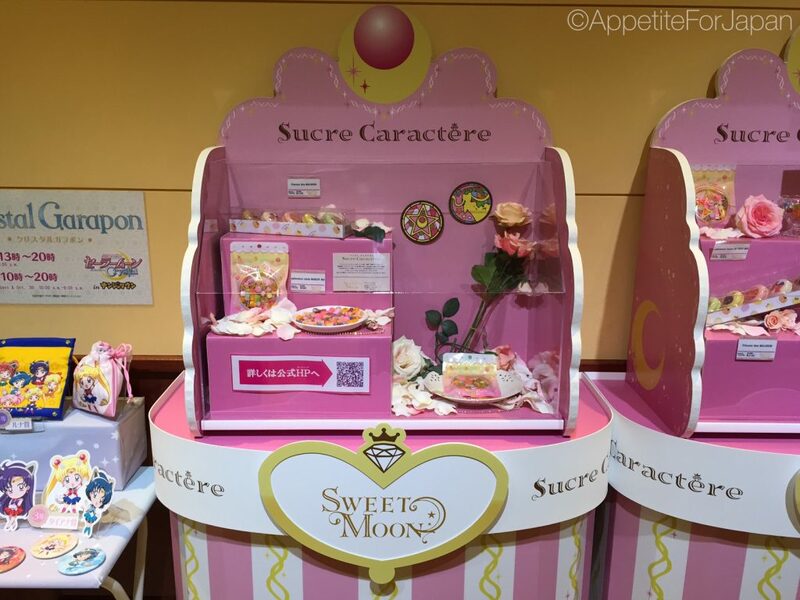 Above: You might also find limited edition goodies such as the above Sailor Moon ‘Sweet Moon’ macarons and candies. Namja Town’s Gyoza Stadium is probably one of the two main reasons that people visit this amusement park. 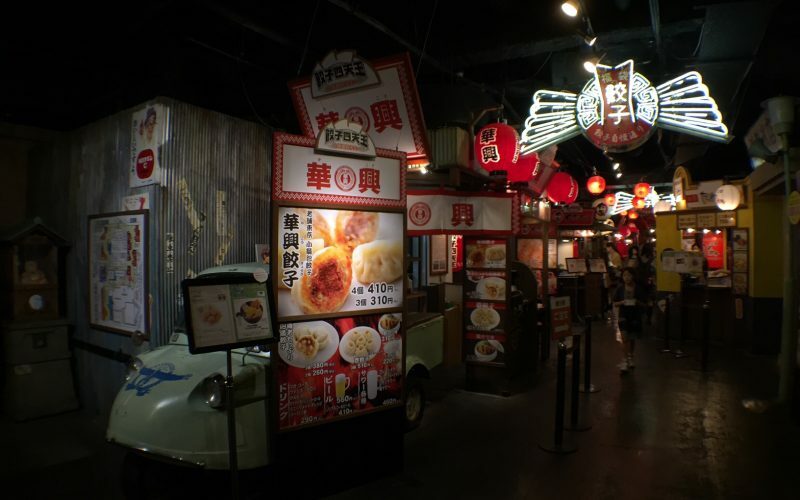 Like Yokohama’s Ramen Museum and Odaiba’s Takoyaki Museum, the Gyoza Stadium is really just a food court that specialises in one type of food – in this case, it’s dumplings. Above: Ikebukuro seems to be a good place to spot cosplayers. 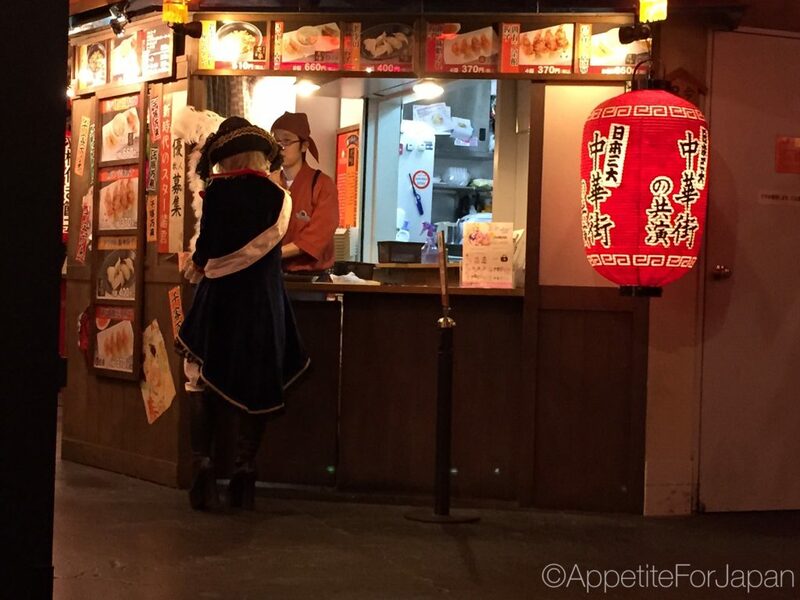 It’s not every day that you see a pirate ordering gyoza. 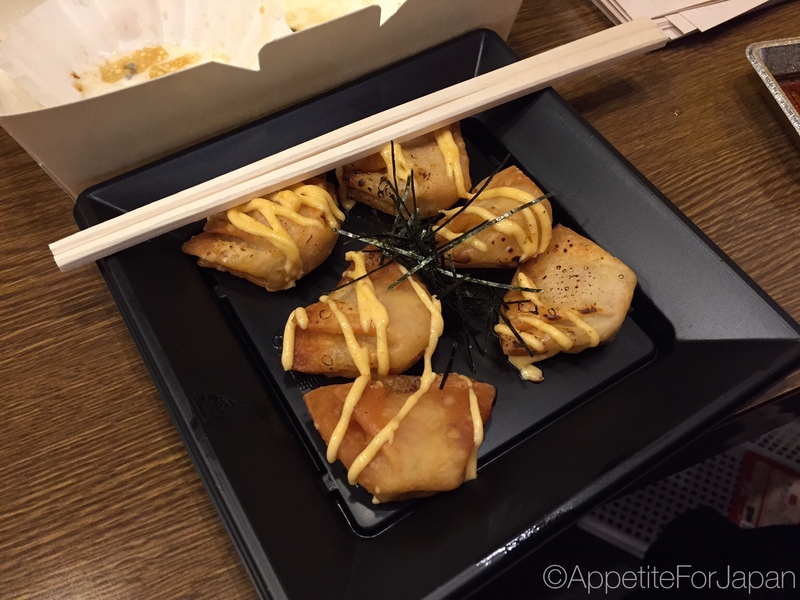 The Gyoza Stadium has eight small gyoza shops. 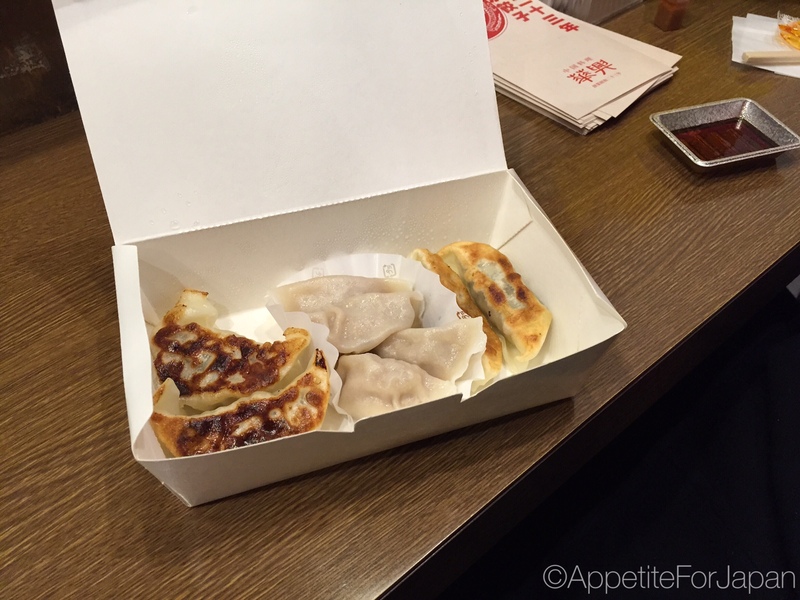 Almost all of the dumplings have pork in them, so this may prove a challenge to some. For my partner, this was no problem, but as I don’t eat a lot of types of meat, I struggled to find lunch there. We (read: more my partner than me, since I had trouble finding dumplings that I would eat) didn’t feel that the dumplings at the Gyoza Stadium were anything special, but the dessert options at Namja Town are well worth checking out. 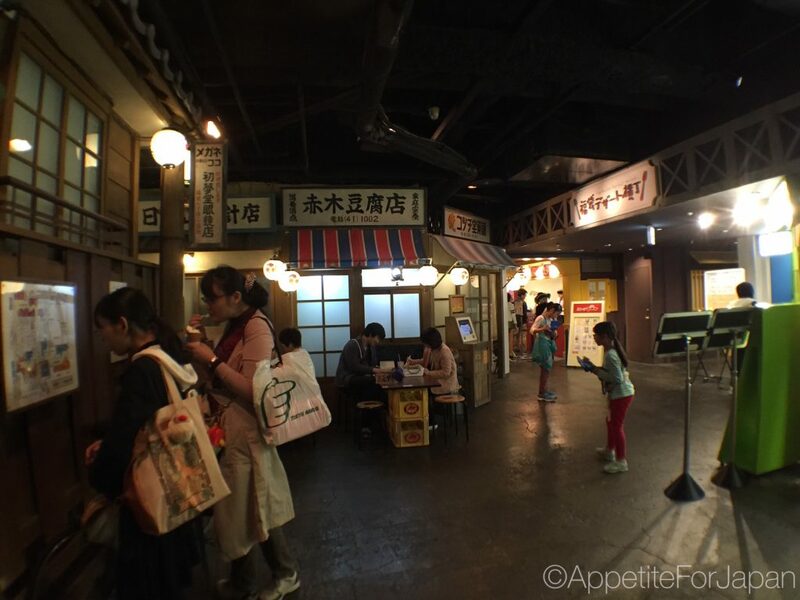 Dessert Alley is designed to look like a street with cute little shop fronts. Kind of. 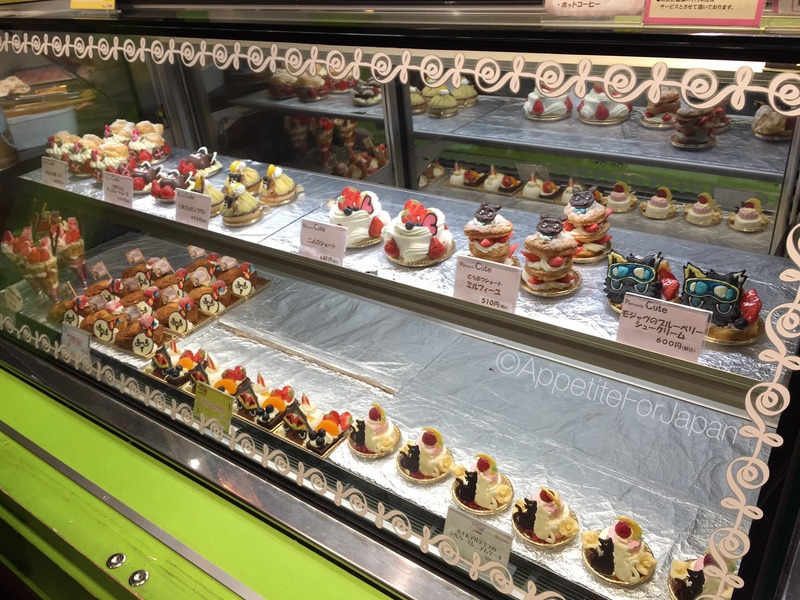 Above: Patisserie Cute sells some really cute pastries. How cute are the ones in the top right corner with the Namja Town mascot on them?! Above: Your Local Ice Parlor – this ice-cream parlour was once known as Ice Cream City, and was famous for having many freezers full of crazy ice-cream flavours that you could buy and take home. 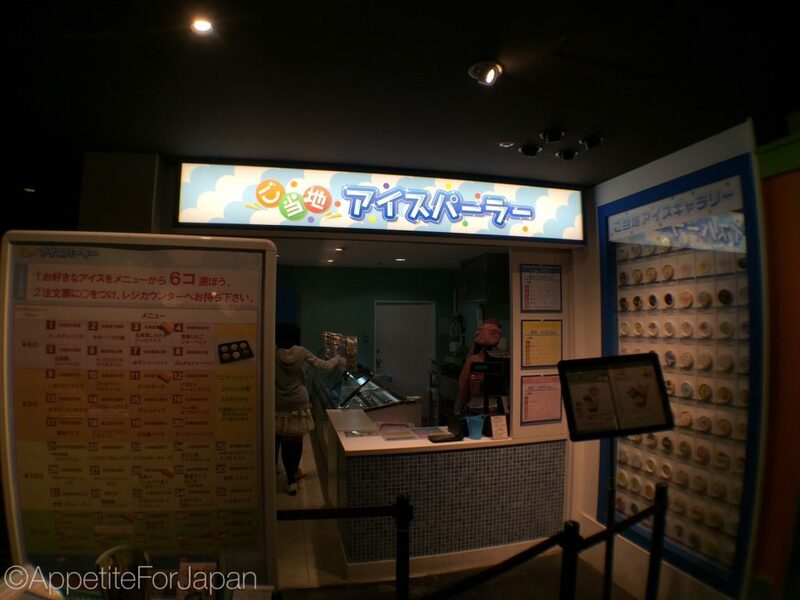 Ice Cream City has been replaced with a regular food court styled take-out ice-cream counter, but it still has 50 ice-cream flavours to choose from. Above: Well, they say 50 flavours, but I can see 51 on the menu. Numbers aside, if you’ve ever wanted to try shark fin noodle ice-cream, Indian curry ice-cream, beef tongue ice-cream, golden-tomato-with-soy-bean-milk ice-cream, wasabi ice-cream or oyster gelato, this is where you’ll find it. 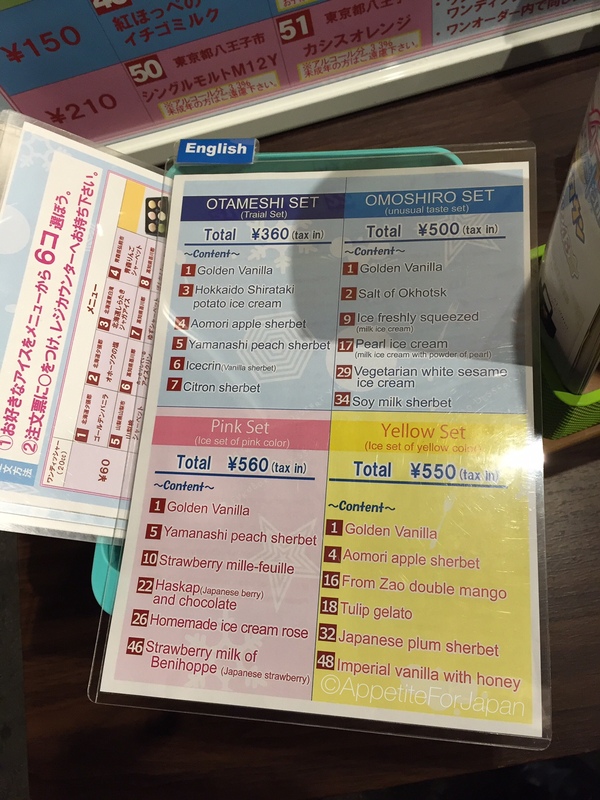 To make it easier, there are four pre-selected sets of six flavours that you can choose. None of them have the really weird flavours, but they do have some interesting and rather nice flavours. We tried the first set. 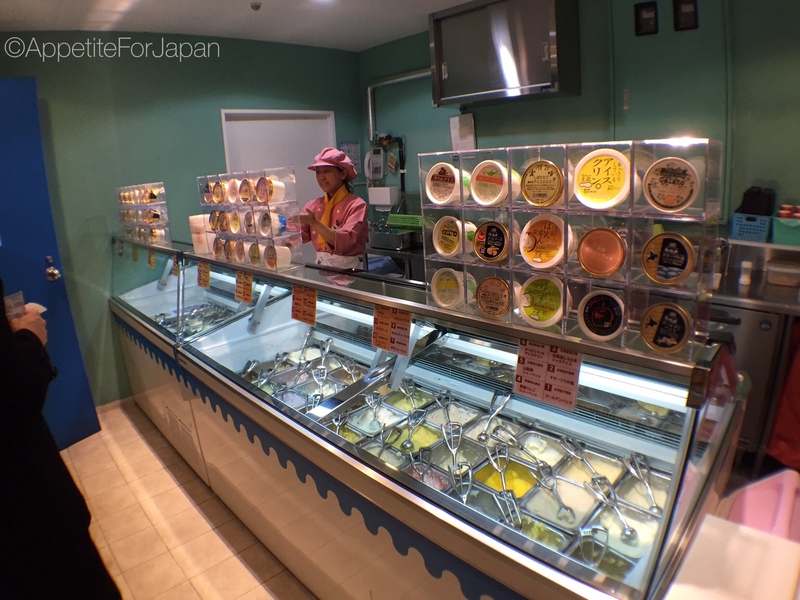 The most unusual flavour that we tried was Hokkaido Shirataki potato ice-cream. They put a little bit of salt on it, and i basically tasted like a potato chip in ice-cream form. I actually really liked it, and if I go back there, I will probably order it again. 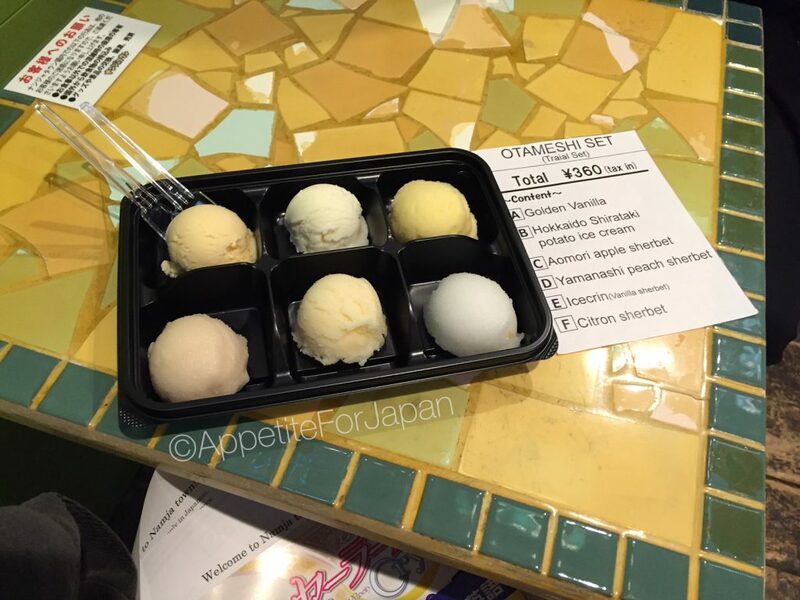 With your ice-cream sampler set, they give you a little print-out of the flavours so you know what you’re eating. We liked everything in this set. 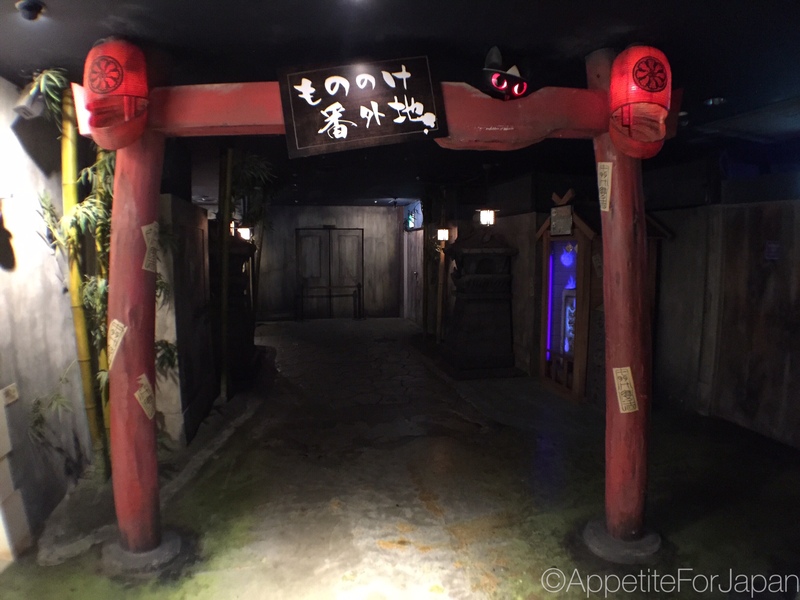 We didn’t realise that there was a haunted house in Namja Town, so when we started walking through this area, we were really confused. 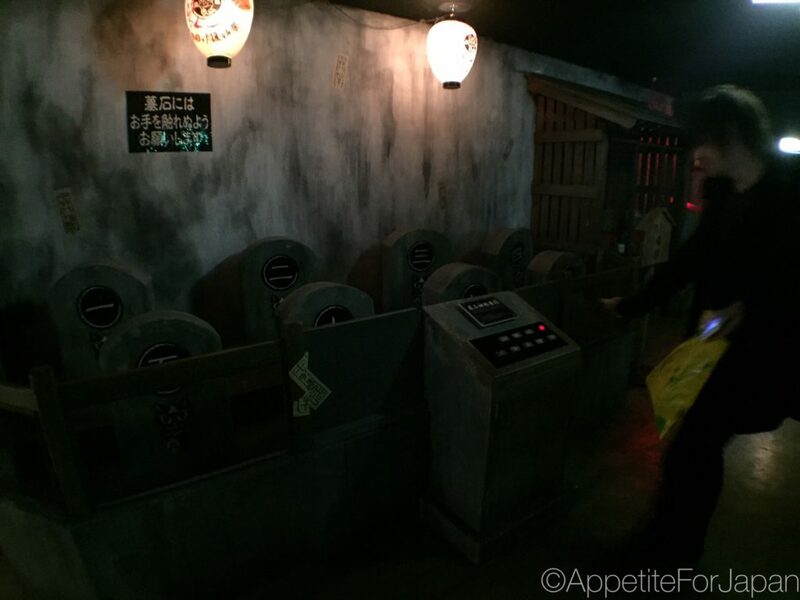 There are games that you can place (for a fee) throughout the haunted house, but we didn’t bother (for starters, we were too busy being confused!). 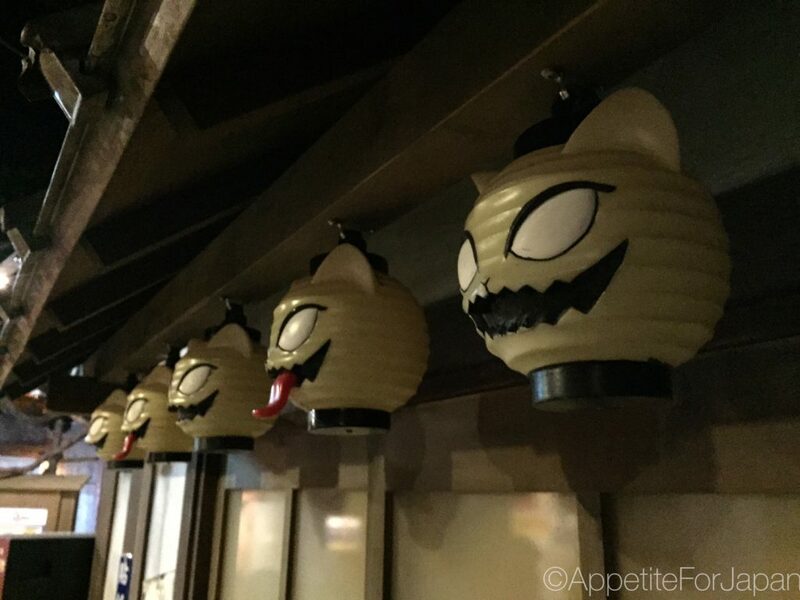 In keeping with the Namja Town theme (whatever the theme is meant to be), there were plenty of creepy Navaju lanterns around the place. 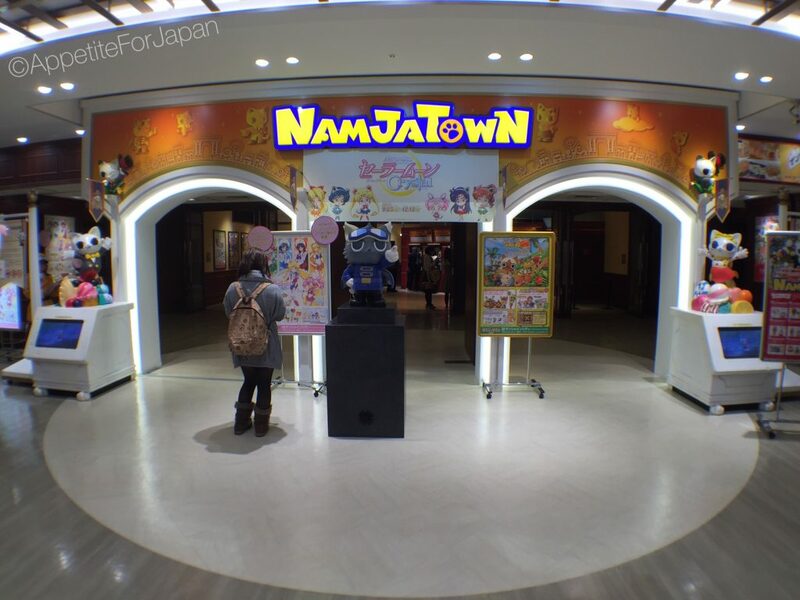 Would I recommend Namco Namja Town? 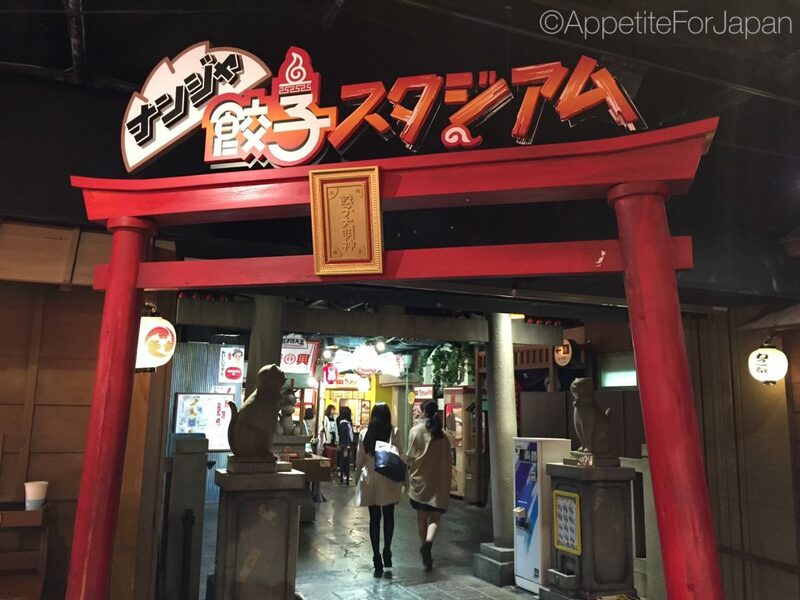 If you’re already going to Sunshine City for the purpose of visiting J-World Tokyo, then you may as well go to Namja Town too. 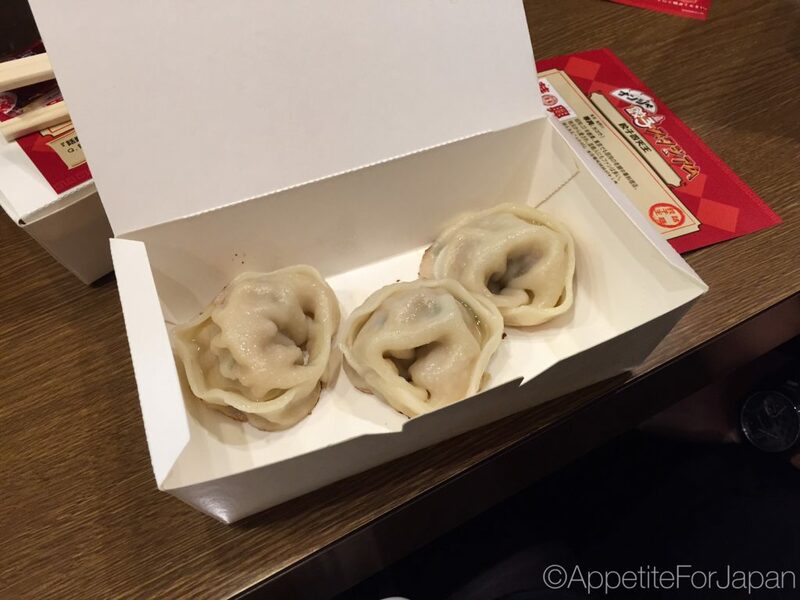 Or if you happen to be in the area and have a burning desire to go to a gimmicky dumpling food court and/or you like the sound of some of those crazy ice-cream flavours. 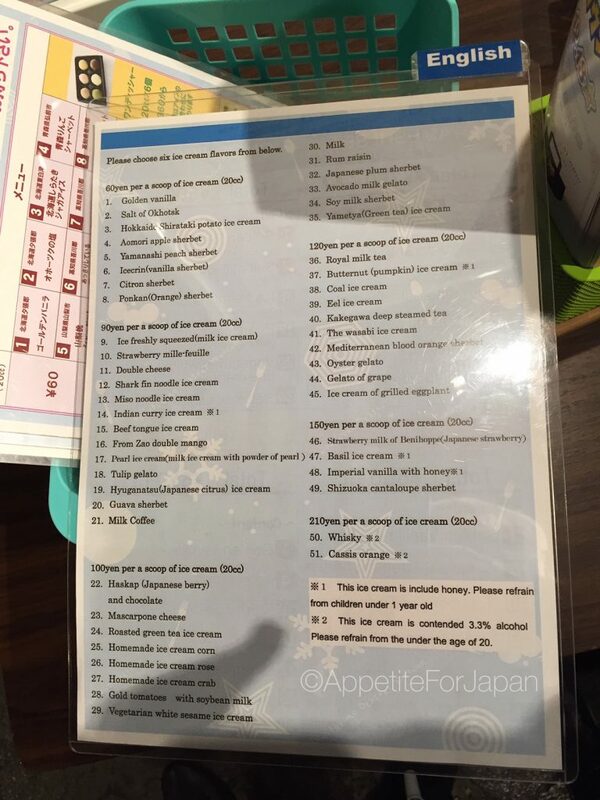 At 450 Yen per person (for adults), it won’t break the bank. If you’re not in the area, though, I wouldn’t necessarily recommend it, as Namja Town isn’t that exciting in and of itself. It left me pretty confused as to this day I don’t really understand the point of Namja Town, although I admit that if I ever find myself at Sunshine City again I might just pop in to get some salted potato ice-cream and a kawaii pastry from Patisserie Cute. 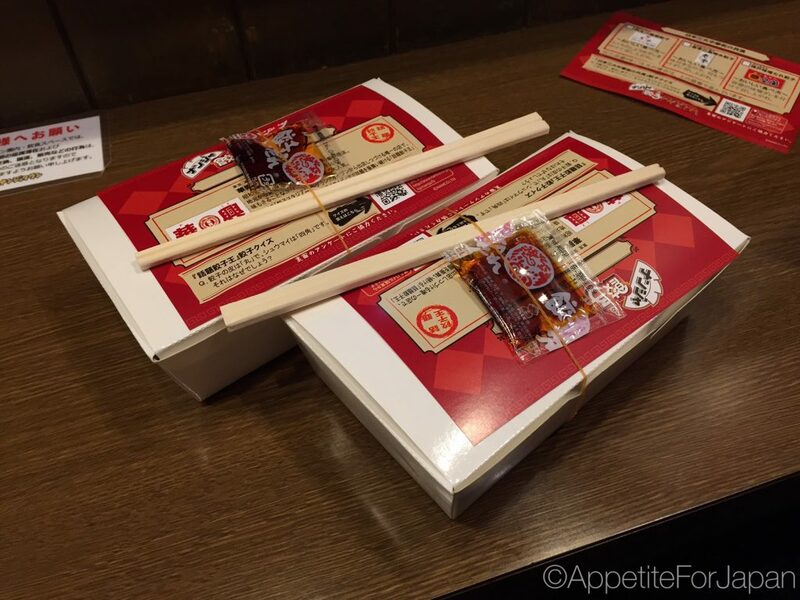 Note: I mentioned this earlier but I want to say it again just to make it really clear – the Gyoza Stadium is very much for people who eat pork. If you don’t eat pork then I recommend that you find somewhere else for lunch. 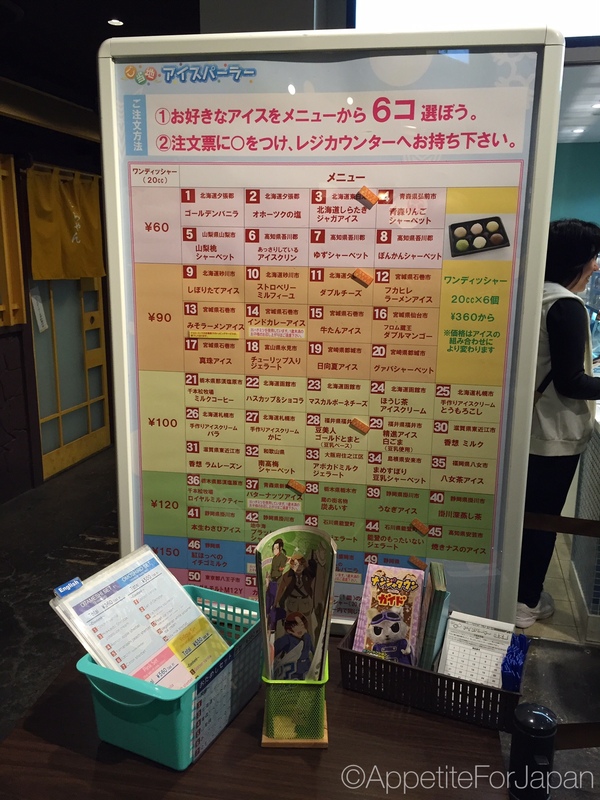 Cost: Tickets to Namco Namja Town vary in price depending on what you’re planning to do. 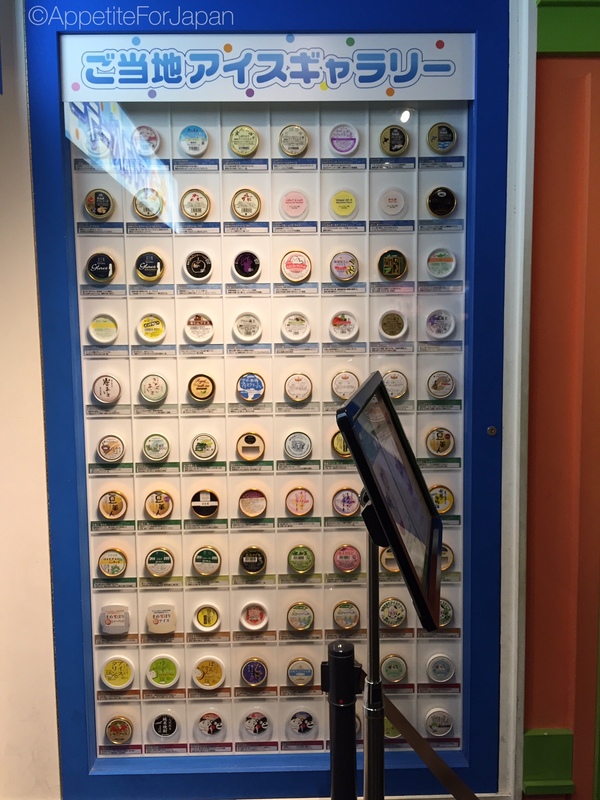 If you’re simply looking to pay the entry fee, it’s 500 Yen for adults and 300 Yen for children (we paid 450 Yen each and I think it’s because we’re foreigners – they also gave us souvenir badges in exchange for filling out a survey). There are other ‘passports’ that cover some of the attractions which cost a lot more. As far as I can tell, you’d probably want to be fluent in Japanese to make the most of these. 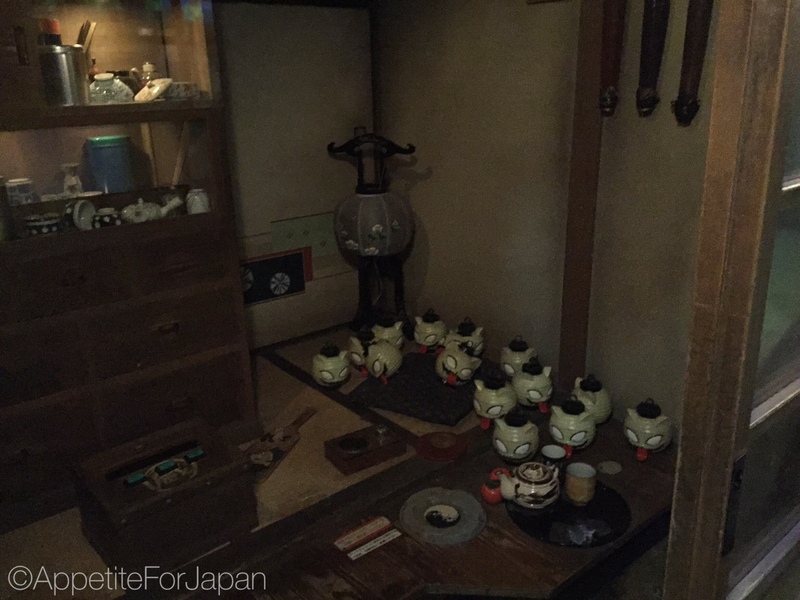 Click here for the page on ticket pricing (it’s in Japanese so you may need to run it through Google Translate). Namco Namja Town is in the same shopping mall as J-World Tokyo, so the directions to Namja Town are exactly the same: There are a few train stations near the Sunshine City mall in Ikebukuro. We caught the train to Ikebukuro Station which is about a 10 minute walk to the Sunshine City shopping centre. 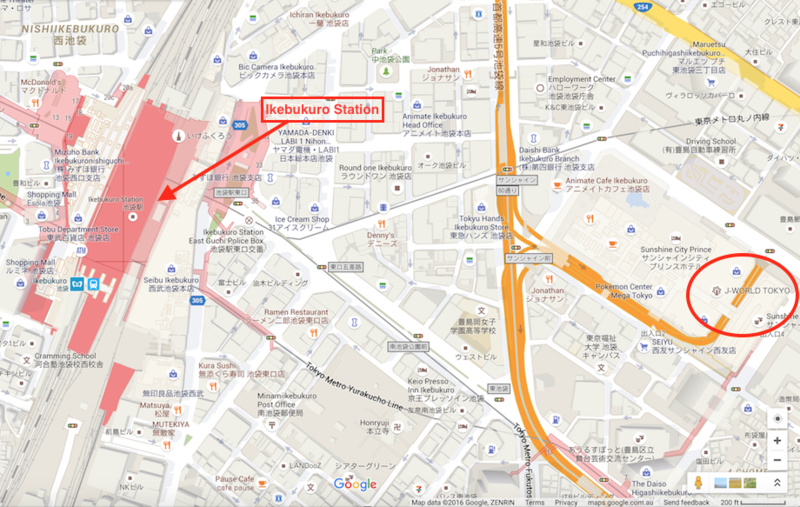 Thanks to Google Maps, here is a map showing where Namja Town is (which is inside Sunshine City) in relation to Ikebukuro Station. Thanks for the comment, Jessy – I’m really glad to hear that this post has been of some help to you. 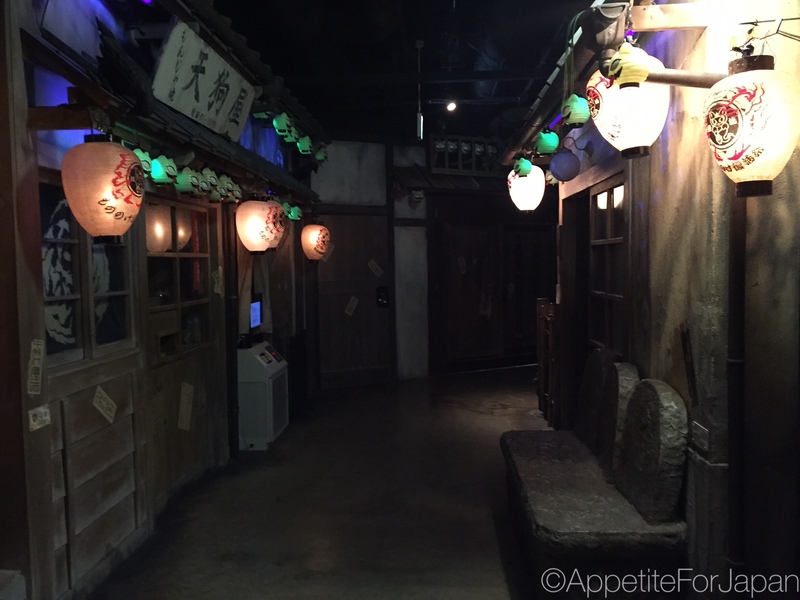 If you decide to check out Namja Town while you’re in Japan, let me know what you think of it!